Head to the FCF Store (by clicking on the image) and shop for Full Contact Fighter's iconic logo clothing. The most respected clothing brand in MMA. 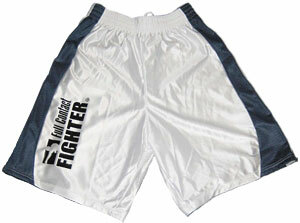 This short is a must for training – great for sparring, running or any sport activity. These shorts are a longer, roomier cut and feel. Polyester body and tricot mesh side panels to help short breathe.